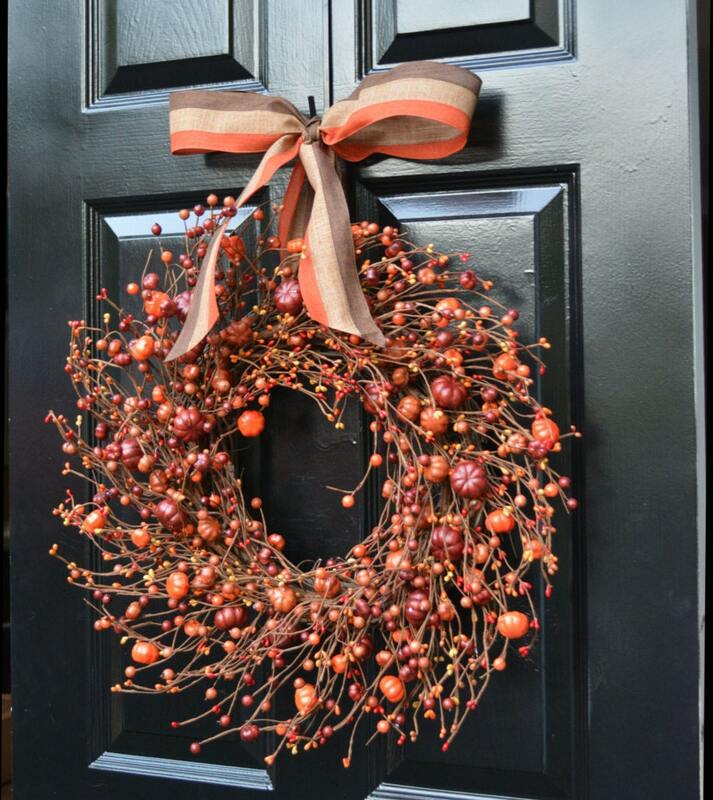 This stunning fall wreath contains large and small artificial berries and pumpkins secured on a grapevine wreath. 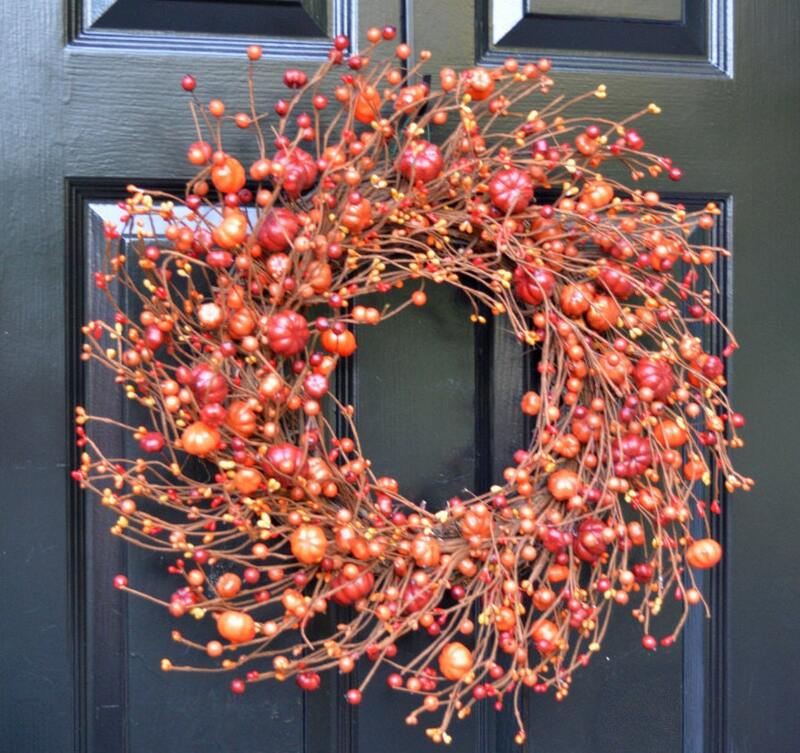 Bright fall orange colors will make this berry wreath a great addition to your fall décor. The fall berry wreath first pictured measures 19 inches wide and 4 inches deep. A 22 inch wreath size is also available. Choose your wreath size in the drop down menu. 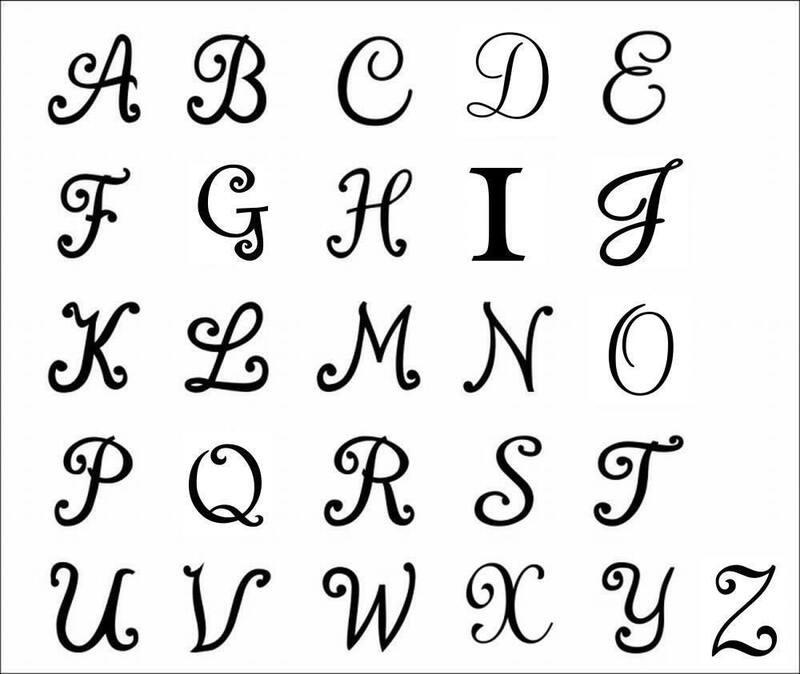 You also may add a bow to coordinate with your wreath. This bow is used to hang the wreath. *** Full coverage is recommended. If you would like to add a UV/Rain protective coat to protect the wreath outdoors please add this listing to your cart at checkout. I love my wreath!! It is EXACTLY as described and even more gorgeous in person! I will be ordering more soon! This is so much more beautiful in person than on my computer screen. I felt I took a risk in ordering it and I'm happy I did! 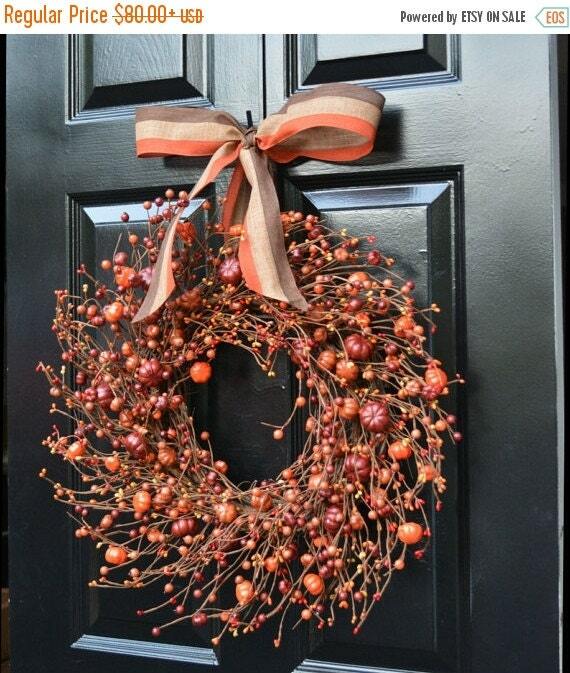 I'm not a kitschy seasonal decorator (think bunny and pumpkin widow art) and worried this would be "too TOO", instead it's a tasteful wreath that looks gorgeous on my front door. Since I paid for the weather resistance treatment I think it should last several years. The packaging was simple and sufficient for arriving undamaged. I've kept the box for storing my wreath in the attic between autumns. Thank you for your beautiful artwork! This wreath is beautiful. Just perfect for fall. Shipped quickly.